Enjoy Seasonal Savories, sweets, and classic organic freshly brewed tea just like the Crawley’s at Downton Abbey. This includes a screening of a gilded film along with an assortment of delicious foods and hot tea, served throughout your experience. 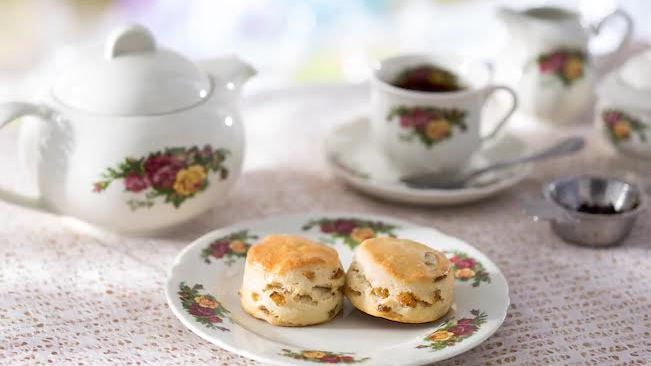 Enjoy classic organic freshly brewed tea and scones, along with a screening of a gilded film. Go to corazoncinemaandcafe.com and click on events to view the film screening. Additional drinks will be available for purchase (Champagne, Mimosas, wine and beer). Advance paid registrations preferred, limited seating available. If you have questions please call #904-679-5736.